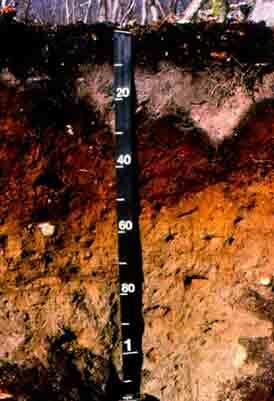 This serves as an Advanced Notice of the Hydric Soil Indicator TA6 Mesic Spodic being approved as A17 by the National Technical Committee for Hydric Soils. Based on communications between the Chair of the NTCHS, Lenore Vasilas, and the Chair of the NEHSTC, Mark Stolt, TA6 has been accepted as a full Indicator for Problem Hydric Soils. The New Indicator A17 Mesic Spodic, reflects a few editorial changes to the wording in TA6. Consequently, an Errata will be issued by the NEHSTC for Field Indicators for Identifying Hydric Soils in New England Version 4 (NEHSTC, May 2017). The link to the Errata is https://drive.google.com/open?id=1Ic3FkIQHz6T1JaVYObq3lJfFnHED-J4f . This change will also require pen & ink changes to pages 53 through 55 of the Field Companion, and the “Cheatsheet”. 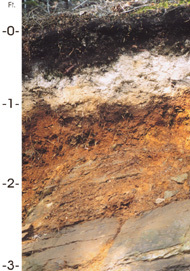 Stay tuned to the New England Hydric Soil Technical Committee’s Webpage https://sites.google.com/view/nehstc/home for updates on this, and future changes. As updates become available SSSNNE will post them.